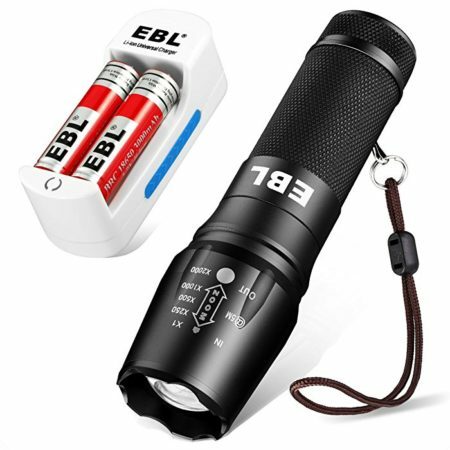 The handheld tactical flashlight can be powered by AAA, 18650 or 26650 rechargeable battery. 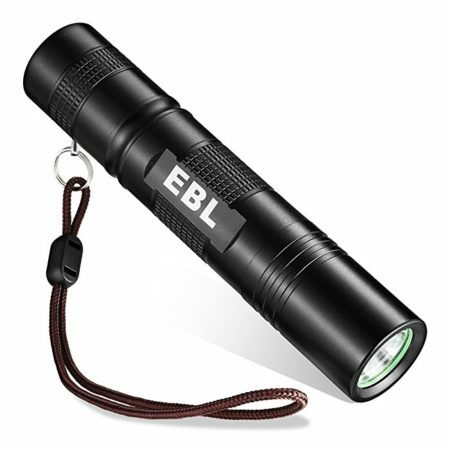 The tactical police flashlight has a portable size for you to easily hold in hand and carry around. 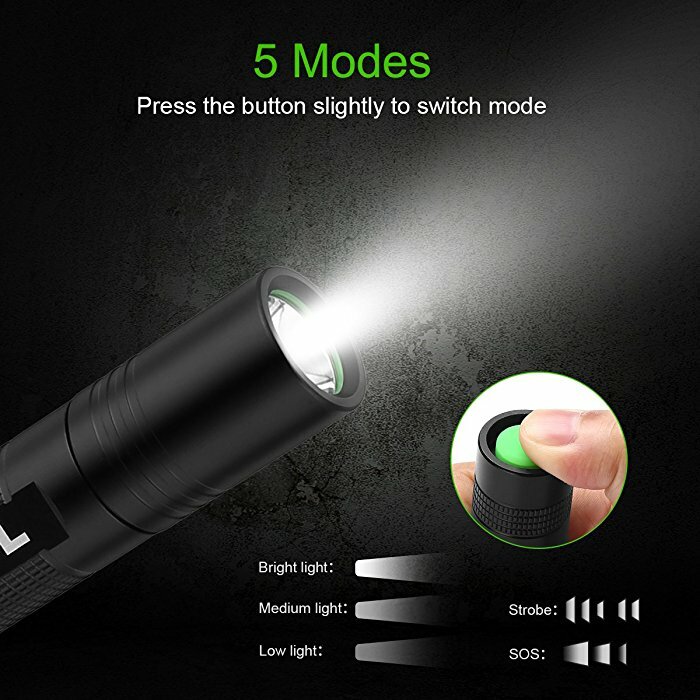 The police security led flashlight has 5 modes: high brightness, medium brightness, low brightness, strobe mode and SOS mode. 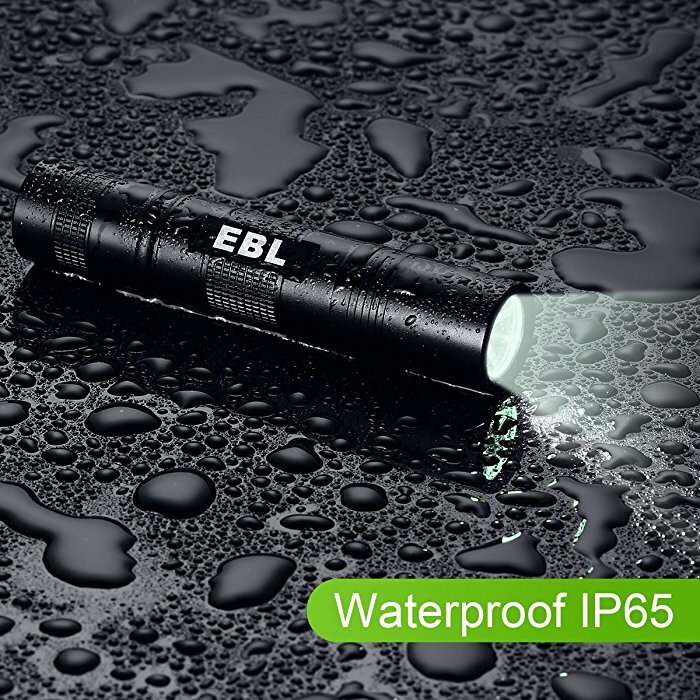 The flashlight features IP65 waterproof rating which allow you to use it in rainy weather. 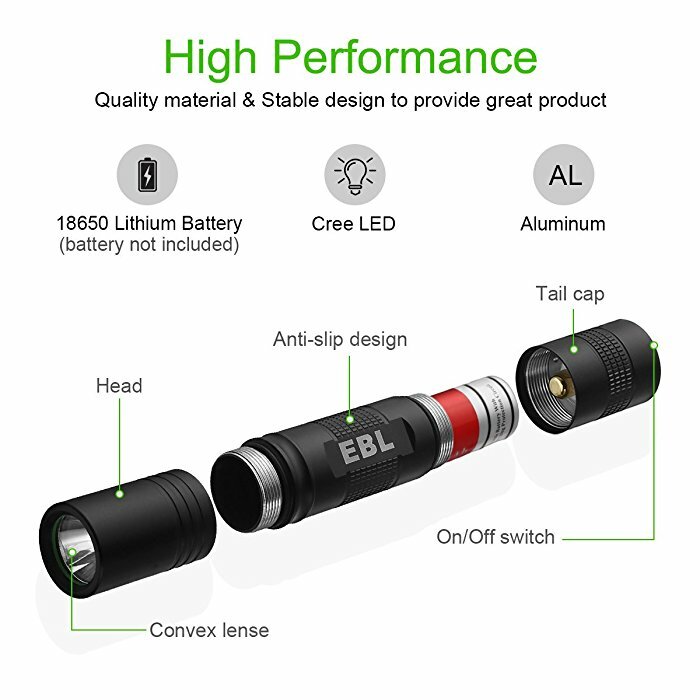 The high performance military LED flashlight is made of high-quality aluminum alloy for great durability. 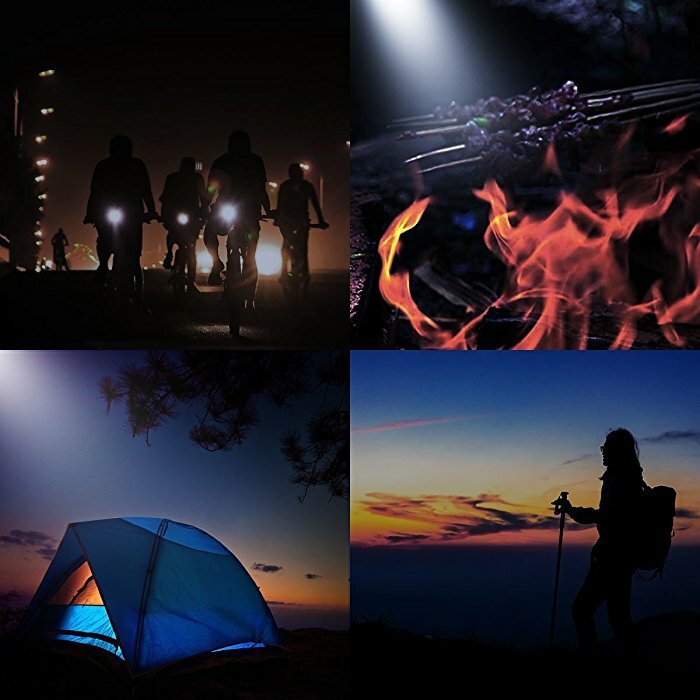 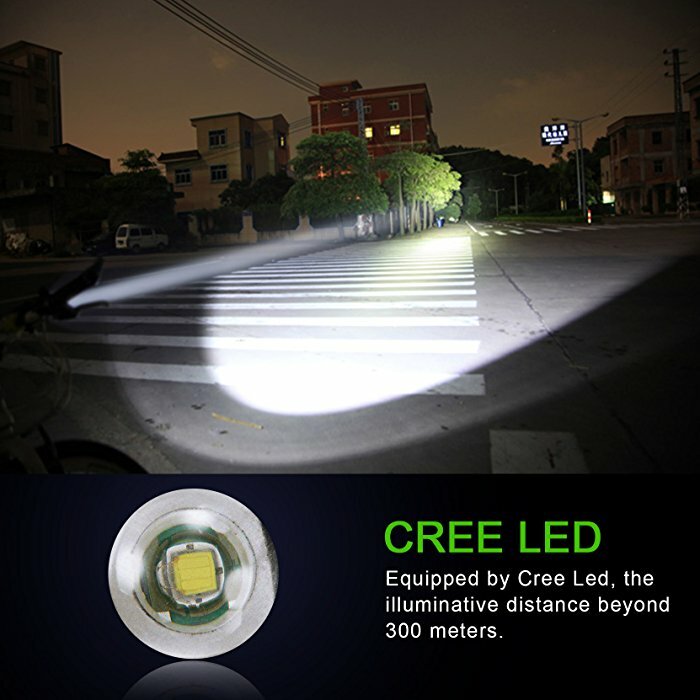 With advanced Cree chip built in, the super bright LED torch offers 350 lumens and 100000 hours long service life. 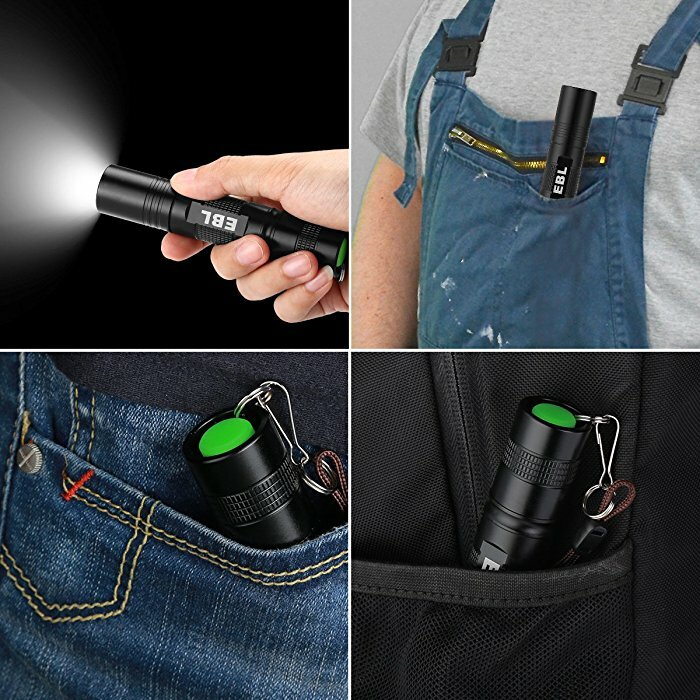 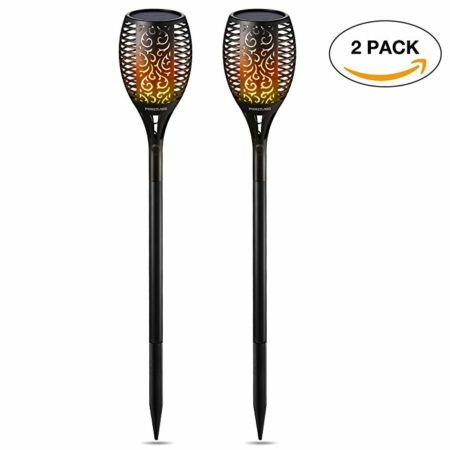 This portable LED torch is beautifully designed for you to hold in hand and carry comfortably. The quick-release light is powered by AAA batteries, or 26650 or 18650 rechargeable battery. 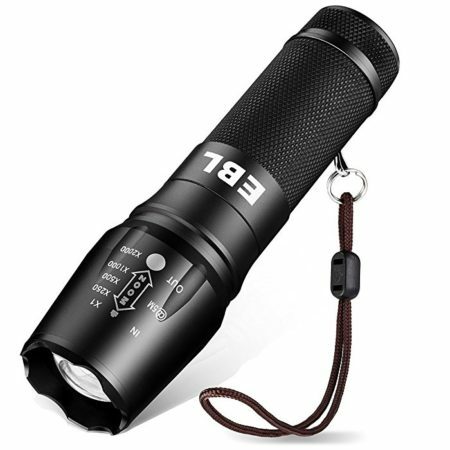 It gives you long hours’ lighting and 5 different modes of brightness to meet your needs. 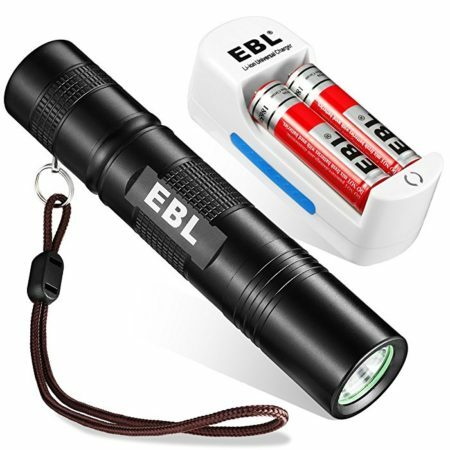 The military grade flashlight comes with an EBL rechargeable battery charger and 2-count rechargeable 18650 rechargeable batteries.